A good party is never complete without a few yummy treats! 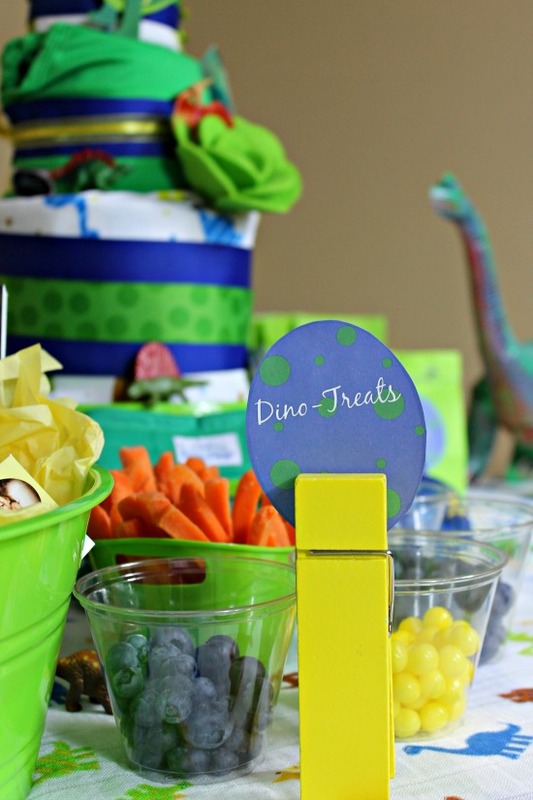 For my dinosaur themed baby shower, I kept snacks simple and (mostly) healthy. For the herbivore, serve up some raw fruits and vegetables and dip. Raw carrots and broccoli make a fun display; pair with a simple ranch dressing for your guests to nibble on. Blueberries and grapes can act as “dino eggs” and are a no-mess treat for all ages. For something a little sweeter, different candy may also look like “dino eggs;” such as lemonheads or jellybeans. I used a giant clothespin from Michael’s to hold the “Dino-Treats” sign. You can download and print these dinosaur eggs (PDF format). 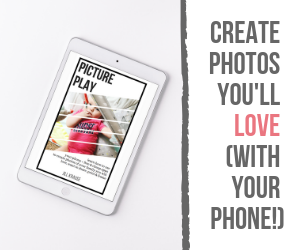 I kept things really simple for this shower but here are some other ideas I found while searching through blogs and on Pinterest. 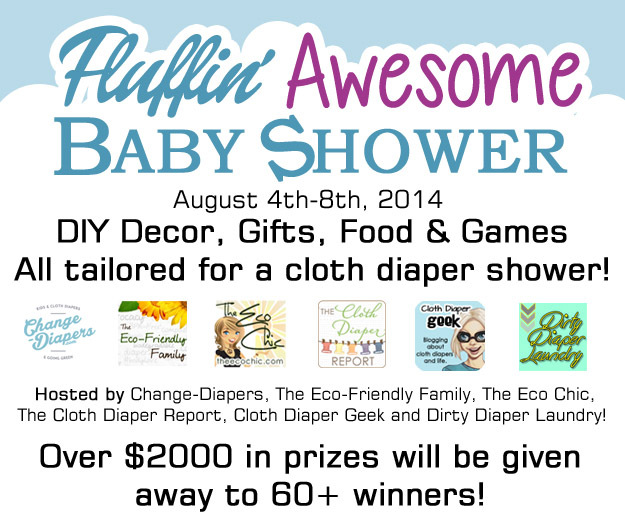 Disclosure: This post is part of the Fluffin’ Awesome Baby Shower event and is sponsored by several different cloth diaper and eco-friendly mom and baby companies. Financial compensation was received to sponsor the event and products have been donated to be featured in this post. Thanks for this! 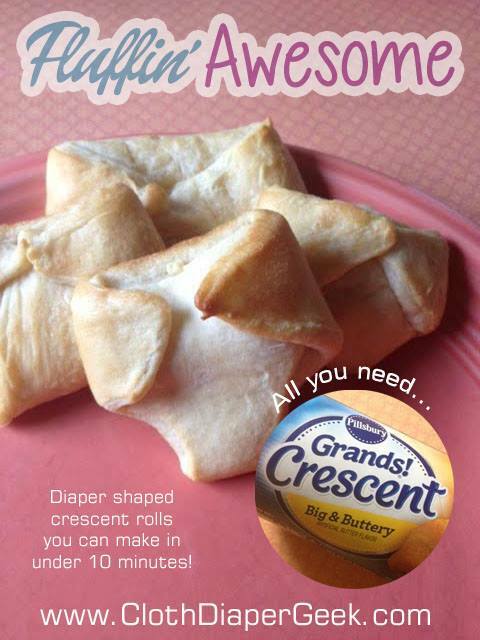 I got an idea now on what to prepare on the baby shower that I’m throwing up this coming next week!